The coming bust was baked into the cake the moment the Federal Reserve rigged interest rates below the free market level. In response to the last financial bust in 2008, the Federal Reserve rigged short-term interest rates to 0% and pumped trillions of credit into the financial markets via its “Quantitative Easing” programs to lower long-term interest rates. 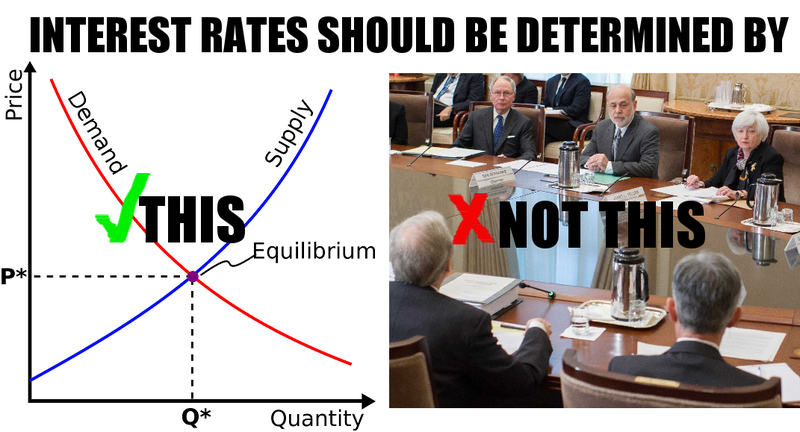 Interest rates are the price to borrow saved capital and, just like all prices, are determined by supply/demand dynamics. In a free market, high interest rates encourage under-consumption and savings to replenish an exhausted pool of saved capital, while low interest rates encourage borrowing and investing to make productive use of a stocked pool of saved capital. These counteracting free market forces work to maintain a natural balance. 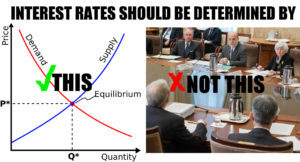 When interest rates are rigged by the Federal Reserve below the free market level, a perverse incentive is created for entrepreneurs, investors, and consumers to borrow at a time when it is not economically viable. The capital has not actually been saved to support the investment; it is merely an illusion created by the Federal Reserve’s printing press. This leads to malinvestments which are eventually exposed and liquidated when interest rates move closer to the free market level. For nine years straight the Federal Reserve rigged interest rates at incredibly low levels and has now promised to slowly reverse this unprecedented intervention. Yet, this is impossible without enduring one the largest financial busts in history. The economy and financial markets have become addicted and dependent on it. The amount of malinvestment accrued during the last nine years is unfathomable and the bust will be stunning. The Federal Reserve’s monopoly over interest rates has bailed out bankrupt banks and governments, sacked us with debt, and created another speculative bubble that is soon to bust. It’s time to lay the blame at their feet and allow the free market to take over before they destroy what’s left of the economy and the dollar. I wish I could knock some sense into these supporters of the Fed. But you’re absolutely right. The Fed has destroyed our country and we as a people need to be aware. I’m telling everyone I know about this site!! Informative but only if your looking for it, I would like to see more exposure to this blatant corruption that goes on, via social media, Facebook, etc, are we will be on this rollercoaster forever with nothing being done. I’ve published an article that some may find of interest. It deals with Christianity, the Fed, and how Cryptocurrency just might be a good thing. Please feel free to contact me with any questions. If by posting this link I have violated any TOS of this site, please forgive me and just delete it.